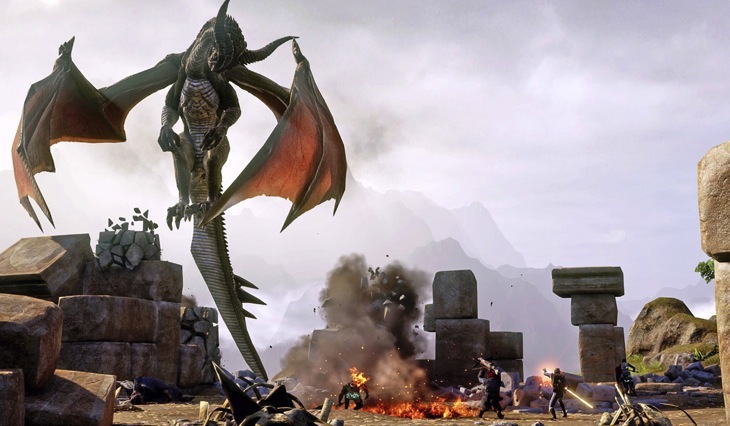 Will 15 minutes of Dragon Age: Inquisition gameplay win you over? I was thoroughly impressed with what Bioware showed off of Dragon Age: Inquisition during E3. It showed huge environments, new gameplay and an excellent approach to side missions and story telling. Now you can see the first 15 minutes of what I saw. I still love the idea of the World Master system. The more you hunt, the more the population changes. If you kill off a ton of bears in the area, their numbers will dwindle. Hm, I can’t help but be reminded of hunting for Sasquatch in Red Dead Redemption now. It’s great to see how they’ve cleaned up the User Interface (UI) and made the whole thing so visually appealing and interesting. With larger environments, and the feeling that your actions actually make a difference, I’m actually getting excited again to play this game. It is going to be gorgeous, plus I’m ready for a new Bioware game – their story-telling is simply sublime. Has the gameplay won you over? Are you seeing things that are fixed from previous Dragon Age games that prove this is the RPG that you’re looking for? Considering that this is Alpha gameplay, I can only imagine how the game will be even better by the time it’s released. Dragon Age: Inquisition is coming 7 October and will make me oh so grateful that I bought a new-gen console so I can bask in its glory.